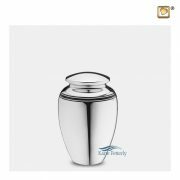 Brass tealight miniature urn with engraved black band. 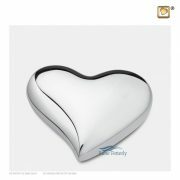 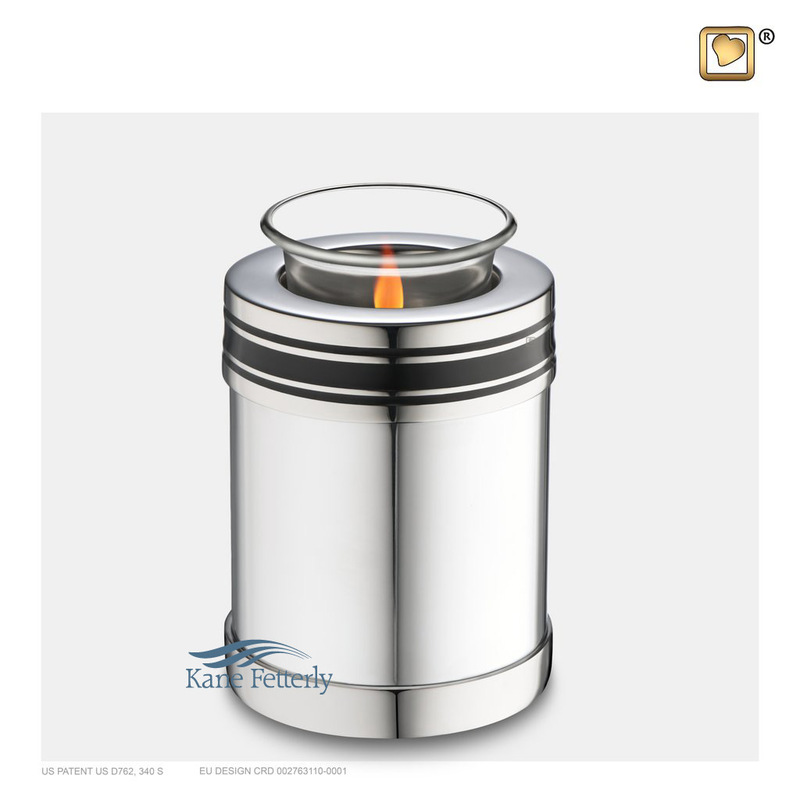 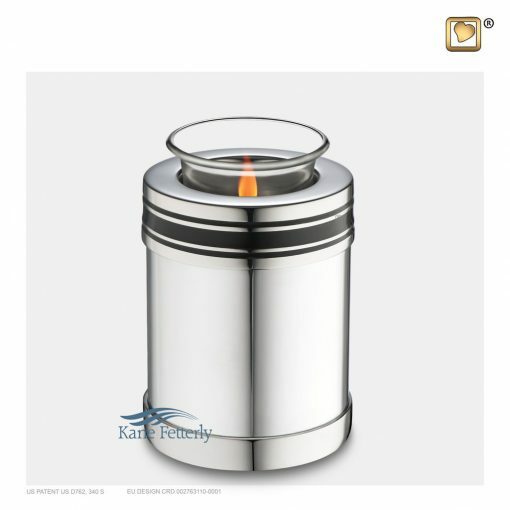 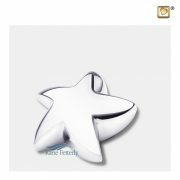 Non tarnish-silver, mirror polished finish. 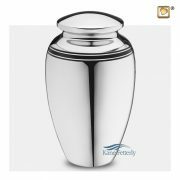 Also available as full-size urn and miniature urn.